Counting luck: Portsmouth will need other teams to falter if they want promotion - Opinion | The Transfer Tavern | News, breakdown and analysis on all things football! Portsmouth fans might have been delighted with their weekend result, but they were even happier about Sunderland’s. An incredible 5-4 defeat to Coventry City at the Stadium Light saw the Black Cats slip up what looked like a solid advantage on both Portsmouth and Barnsley for the second and final automatic promotion spot to the Championship, and it’s results like this that Pompey will be banking on if they want to seal a top-two finish. 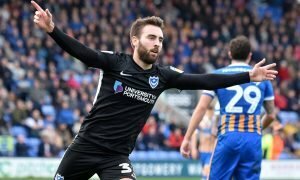 Heading into the final few games of the season and a second-place finish still on the table for Portsmouth, the south coast side will be hoping that results like Sunderland’s on the weekend continue in their favour as that will be the deciding factor for Kenny Jackett’s side getting an automatic promotion spot. 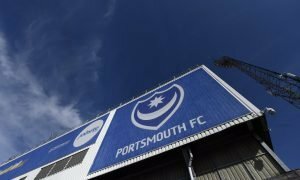 With Portsmouth hitting form at the right time of the season, it’s realistic to say that Pompey could win their remaining games of the campaign, including their away trip to Sunderland at the end of the month, a game which will likely determine who seals the final automatic promotion spot. Pompey’s way of picking up results in games against lower-league opposition has been a large reason for their success this season, with their 4-1 result over Rochdale this Saturday another example of Portsmouth getting important points over teams lower down the table. If the club can keep this level of form and belief up in their final few games of the season, Jackett and company could be dreaming of a promotion to the Championship earlier than expected, but for that to happen they will need to be counting their lucky stars for other teams to falter in the coming weeks. Portsmouth fans, where will Pompey finish in the league table? Let us know!